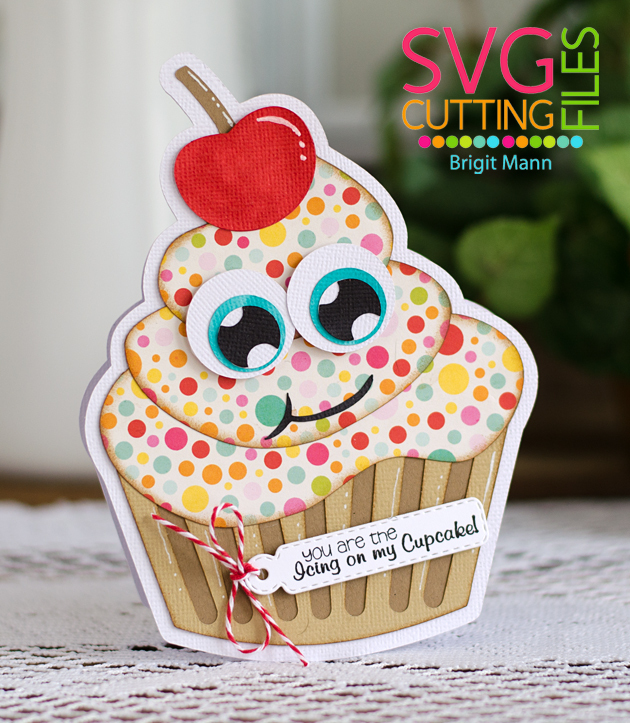 Create a birthday themed project using a file from SVG Cutting Files as your main focus. at our Facebook Group's Birthday Challenge Album, HERE. I used one of the cupcakes from the Build a Cupcake set and made it into a shaped card. The eyes and mouth I made real quick in SSDE, everything was cutout with my Cricut Explore. Sentiment is from Jaded Blossom's Hey Cupcake set and the tag die is from the Mini Tag Dies. Too darn cute & FUN!! Brigit ~ oh how CUTE is this card! LOVE the fun colors and what a cute file too!